Friday night: night out, event, concert? You’ve got your mates, you take pictures and you know the night is gonna be great. Create a Flashgap, invite your friends and take pictures all night long. The next day at twelve, receive the full album! -The next day at twelve sharp, you and your friends discover all the pictures taken at the event. You’ll be able to rediscover it from all of your friends’ perspectives! Flashgap allows you to get all the pictures from an event in the same place without having to move a muscle. 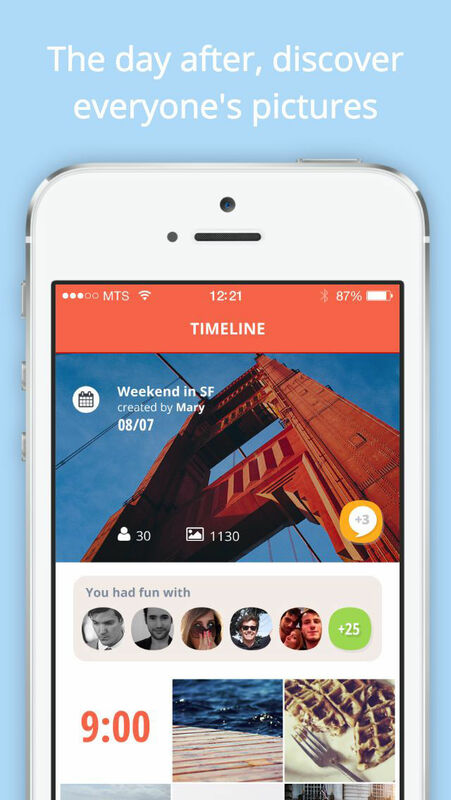 Share them in a private group and discover them at the same time as your friends do! #OurUsersAreAwesome, have fun, again and again! Amino - Conversation, as you want.